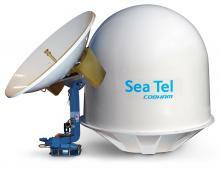 30 years ago, RJ Matthews designed a low cost stabilized satellite antenna for use on ships, which he called “SeaTel”, and set off a shipboard communications revolution. 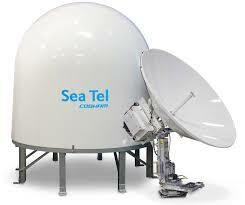 HF radio was replaced with a satellite antenna, Cruise ships began to offer TV at Sea, The US Navy established “at sea” crew telephone call centers, and ten years later SeaTel ruled the seas with over 80% of the maritime satellite market. In answer to the growing demand for trained Electronic Technicians, SeaTel built a large Dealer Network comprised of nearly 500 companies with over 8,000 factory trained and certified Engineers and Electronic T echnicians worldwide. 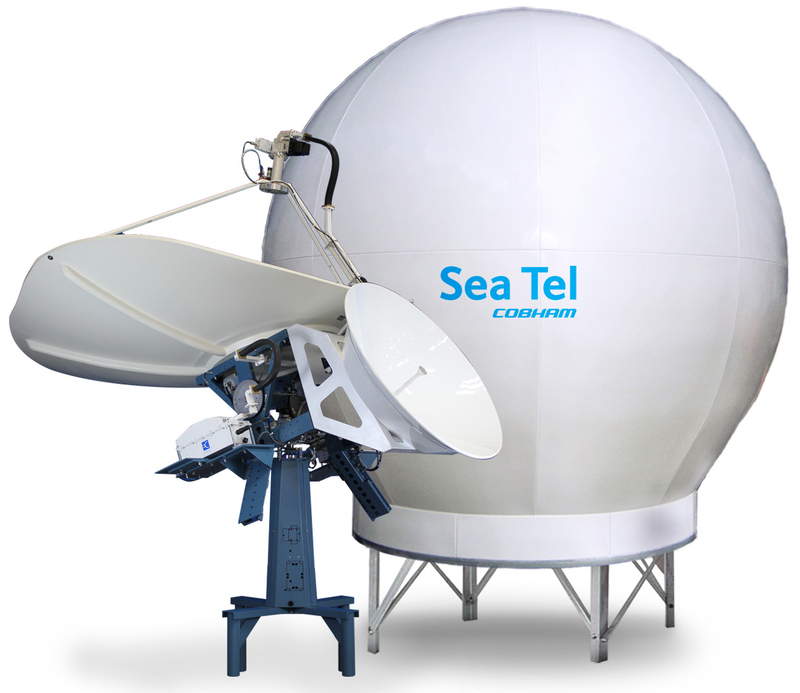 Ask any large ship fleet operator, such as the US Navy or Carnival Cruise why they often select SeaTel over all other commercial antennas and they consistently report that it is because of the responsive global Dealer Network, availability of spare parts and long term supportability. SeaTel has continually reinvented the shipboard satellite industry by incorporating new technology and adapting quickly to the advances in satellite technology. 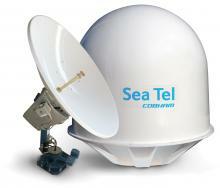 Today, the SeaTel stabilized platform remains the industry De facto standard for shipboard satellite antennas. The saying “Imitation is the highest form of Flattery” certainly applies to SeaTel with numerous copy cats that have come and gone over the years. Look to the Leader. Look to Sea Tel! 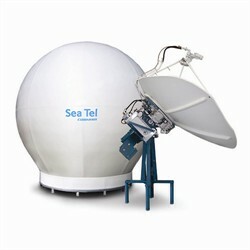 The Sea Tel 4004 TVRO system is a 40” antenna system that features high performance stabilization and satellite tracking using a 3-axis closed loop stabilization system, providing quality performance in the roughest seas. 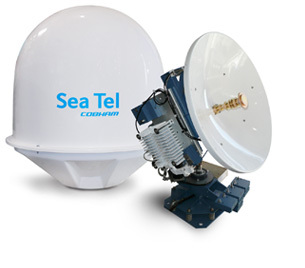 The Model 5004UA is a 50” antenna that features high performance stabilization and satellite tracking using a 3-axis closed loop stabilization system, providing quality performance in the roughest seas. 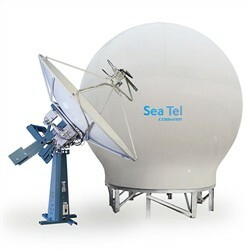 The Sea Tel 5004 TVRO system is a 50” antenna system that features high performance stabilization and satellite tracking using a 3-axis closed loop stabilization system, providing quality performance in the roughest seas…. 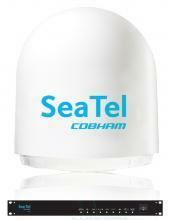 Sea Tel’s Model 6004 is the most powerful Ku-Band, DTH antenna with a greater range than other systems in its class. 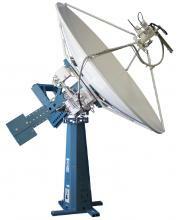 At 1.5 meters in dish diameter, the Model 6004 delivers crystal clear digital signals from satellite television providers around the world. 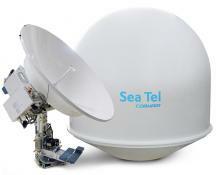 The SeaTel ST60 Satellite TV features a cutting-edge pedestal based on Sea Tel’s leading 09 series antenna platform and highly-efficient back-fire feed, delivering high-quality satellite programming anywhere in the world…. 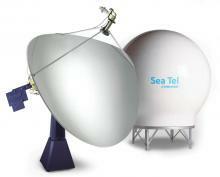 Sea Tel ST94 Satellite TV is a reliable, intelligent TV-at-Sea system, packed with electronic innovation. 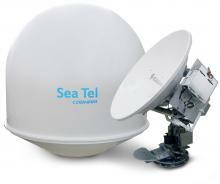 It continuously calculates position, orientation and velocity for smart, seamless satellite TV for offshore applications where space is at a premium…. 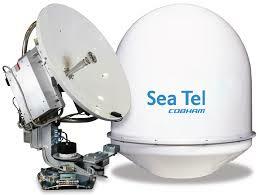 The 9711 products are the next evolution in C-band systems from Sea Tel. Based on their leading 9797B product line, the new 9711 series has an enhanced feature set delivering a truly revolutionary product range. …. 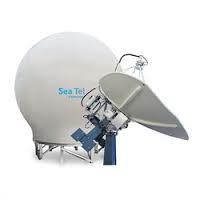 Sea Tel 120 TVHD is a 3-axis Ku/Ka dual band satellite TV antenna with a 120cm,/50inch dish. 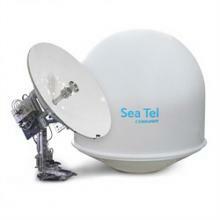 It has a new three port feed and LNB that is capable of simultaneously receiving signals from three satellites…. 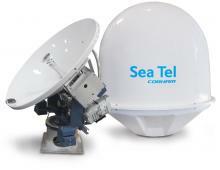 The 2406 Antenna is a 60 cm Ku-Band maritime VSAT antenna for SCPC, broadband, or hybrid networks.This antenna system complies with the FCC’s 04-286, WRC-03 resolution 902 and…. 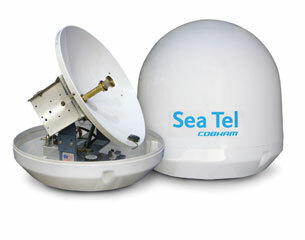 The Sea Tel Model USAT 24 is a 60 cm Ultra Small Aperture Terminal for Broadband connectivity in SCPC or TDMA networks. 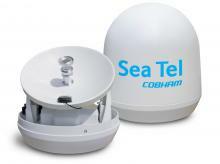 It is the first 60 cm marine antenna to meet FCC’s and ETSI’s specification allowing multi mode use with Spread Spectrum…. 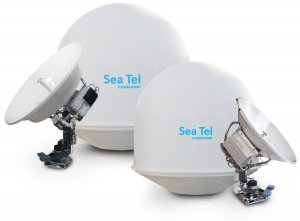 The USAT 30 is the latest in the long line of how-did-we-ever-live-without this technology products from Sea Tel that are redefining global maritime communications….. 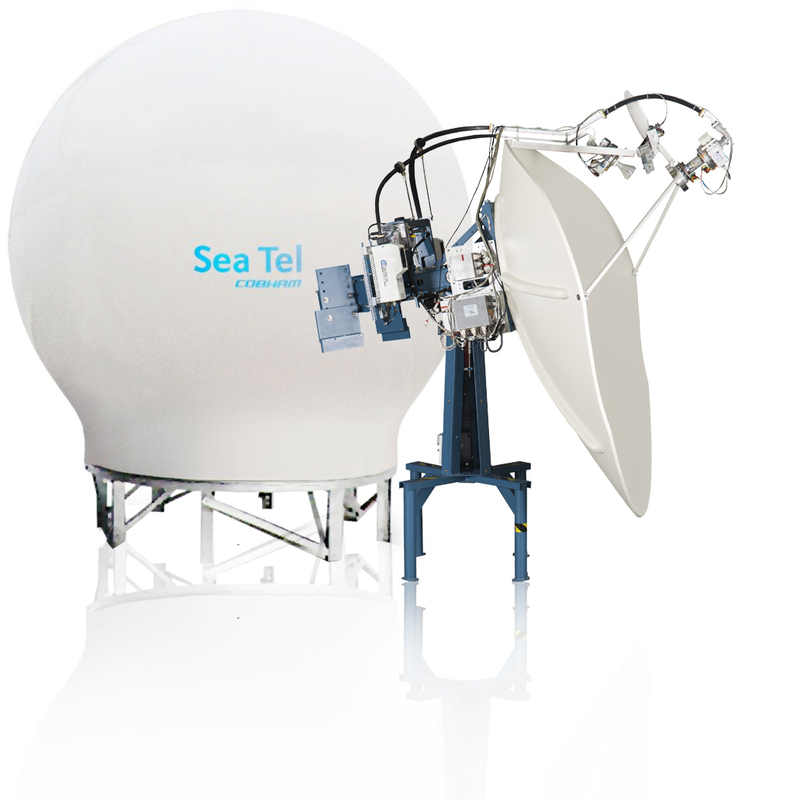 The Sea Tel 3011 is the latest 3-Axis marine stabilized antenna system from Sea Tel built for smaller vessels who want the same performance and capability that would expect on a much larger antenna…. 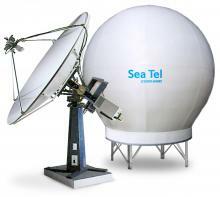 Sea Tel 3612 is a 3-Axis, marine stabilised antenna system compatible with most Ku-band satellites. 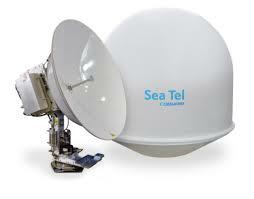 The revolutionary architecture of this 0.9 meter system is on Sea Tel’s industry leading XX09 …. Based on the industry-leading 4009 antenna pedestal, Model 4012 GX is the industry’s first and only highly integrated 1m Ku to Ka upgradable marine stabilized antenna…. 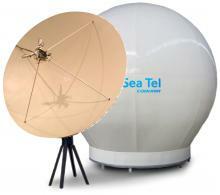 Sea Tel 5012 is a 3-Axis marine stabilised antenna system compatible with most Ku-band satellites. 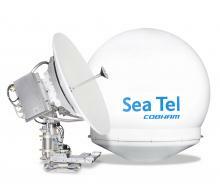 The revolutionary architecture of this 1.24 metre system is based on Sea Tel’s…. 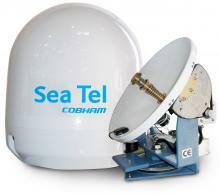 The Sea Tel 6012 C-Band is a 3-Axis, C-Band only marine stabilised antenna system compatible with C-band satellites….. The Sea Tel 4009 Ku-band 1.0M marine 3-axis stabilized VSAT antenna system incorporates the very latest technology …. 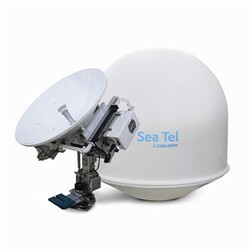 Sea Tel 4009 MK3 is a 3-Axis marine stabilized antenna system compatible with most Ku-band satellites. 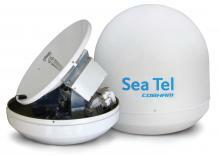 The 4009 MK3 system uses the latest Integrated Marine Antenna…. 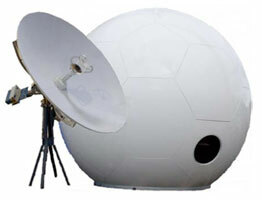 The 5009 Ku antenna is the latest innovation in VSAT marine stabilized antenna systems incorporating the latest technology in optimal reflector performance and vertical isolation characteristics…. 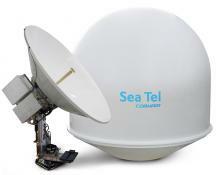 The Sea Tel Model 9707D radical offset antenna is our most efficient ever C-band Circular only, stabilized antenna system. 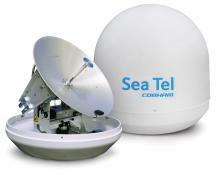 The Model 9707D is both INTELSAT and DSCS compliant…. 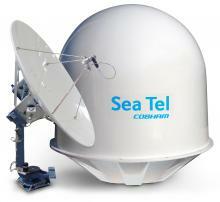 The 9711 products are the next evolution in C-band systems from Sea Tel. Based on their leading 9797B product line, the new 9711 series has an enhanced feature set delivering a truly revolutionary product range…. Where the 9711 QOR differs from the rest of the range is in the inclusion of Quadrature Oriented Reflectors (QOR) technology which offers dual reflectors with a single controller. …. 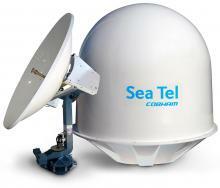 The Sea Tel Model 14600 is the top of the line VSAT system for vessels with enough space to mount the radome. The 14600 is designed and built to pass the U.S. Navy’s tests for vibration, shock and protection against RFI and EMI emissions. …. The DAC-97 is housed in a standard 19-inch rack mount enclosure. The front panel contains a row of function keys used to select the desired information to be displayed and …. The DAC-03 Antenna Control Unit (ACU) communicates via an RS422 serial data link with the Pedestal Control Unit (PCU) located on the antenna. For unlimited azimuth pedestals, the RS422 link …. The DAC-2200 ACU has been designed and manufactured so as to be inherently reliable, easy to maintain, and simple to operate….. The DAC-2202 Antenna Control Unit has been designed and manufactured so as to be inherently reliable, easy to maintain, and simple to operate. Except for start-ups, or changing operation with different transponders or satellites, the equipment essentially permits unattended operation…. With its extended web based secured user interface and built-in remote management capabilities, MIL-SAT offers integration into network management systems through its built-in Media Xchange Point (MXP).